“You can bring a horse to water, but you can’t make it drink” is a classic saying expressed by many frustrated teachers, parents, and presumably horse owners that expresses a sentiment associated with the lack of willingness of an individual to engage with the materials in front of them that that are likely to be helpful to them. What is it about the horse, or the student that keeps them from engaging? Brain research has shown that the brain’s fight or flight response (amygdala) is activated in stressful situations in which one’s social status is threatened. An unprepared student who sits in front of a Raspberry Pi device with a lot of wires, buttons, and weird looking sensors may feel threatened and choose not to engage. Looking incompetent in front of peers, especially for teens, can be a very stressful experience. Both psychology and brain research provide us with clues to help mitigate this stress response and convert the experience into an opportunity for growth. Play is perhaps the most important and natural method to shoot past the “engagement breaks” being applied by the amygdala in a new learning situation. 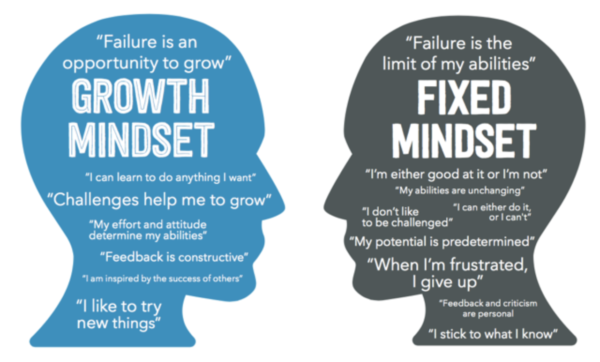 Teaching students about the concept of the growth and fixed mindset provides self aware students with a tool reframe their fears into learning opportunities. Play is an essential part of growth for all animals. Kittens playing with their tails, and human children playing in a sandbox are both examples of healthy neural development in which the limits of the surroundings are explored and “learned”. Play as a research topic is huge. Brain imaging studies have shown that when play is occurring, its difficult for the flight or fight response (amygdala) to be engaged. For students who have not traditionally been successful in school or in STEM topics, the need to reframe potentially stressful learning situations is imperative. Students can not truly learn when they are scared. What we tend to see in the classroom are behaviors that a student can hide behind when they are challenged to learn something that threatens them. In the T3 alliance, we begin with, ice breakers, brush bots, and Minecraft (a sandbox game) because they help replace fears with a sense of creative exploration. When these activities are done as part of a group in a fun and festive way, a bonding experience occurs that helps form social connections that are essential for human growth. At later points in the program, students play with combining various sensors and outputs in order to “do” something cool. When this is combined with the direct instruction of growth and fixed mindset measurable progress is observable. Growth and fixed minutes are terms coined by Carol Dweck to describe how students perceive themselves and their relationship to their learning. Fixed mindset students essentially believe that their intelligence is fixed and that a new learning situation is a threat to their status. Its likely that a student with this paradigm would see a raspberry pi and a bunch of wires and sensors as threatening. Students that exhibit Growth mindset, in contrast, see a new learning situation as an opportunity for growth. They are more likely to embrace the challenge and “play” with the various components. Not knowing how to do something is an opportunity to learn, asking for help is not seen as a sign of weakness to them. Teaching students about these mind sets in a non threatening environment gives them a framework to draw upon in a more frustrating situation later on. The same problem solving skills used fix a brush bot can be employed when setting up an elaborate self driving vehicle. Teachers who understand the difference between effort based praised (growth mindset) and label based praise (fixed mindset) have tremendous power to influence a student’s resilience. A student who is confident in their ability to “play” with a new piece of technology, gain an understanding of its limitations, and ask for help within a safe community is poised to find meaningful ways to apply it towards the betterment of the community at large. 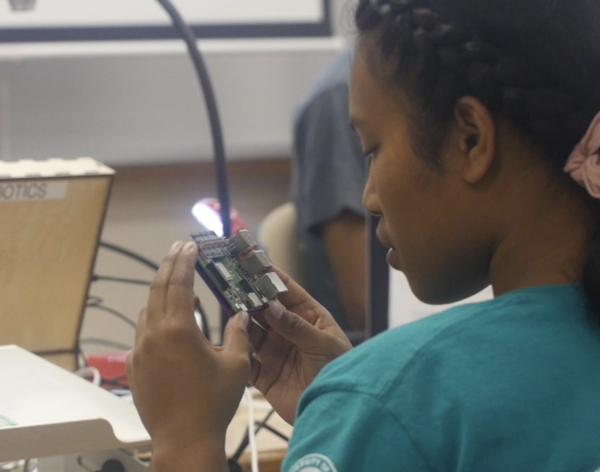 In the t3 alliance program we aim to curate an environment in which students feel safe to explore the limitations of a technology and then find ways to allow students to apply that technology to a problem of appropriate measure. While creating an engaging and nurturing environment is the critical first step, the power of the program lies within the community engagement opportunity that is fostered through the design thinking process.